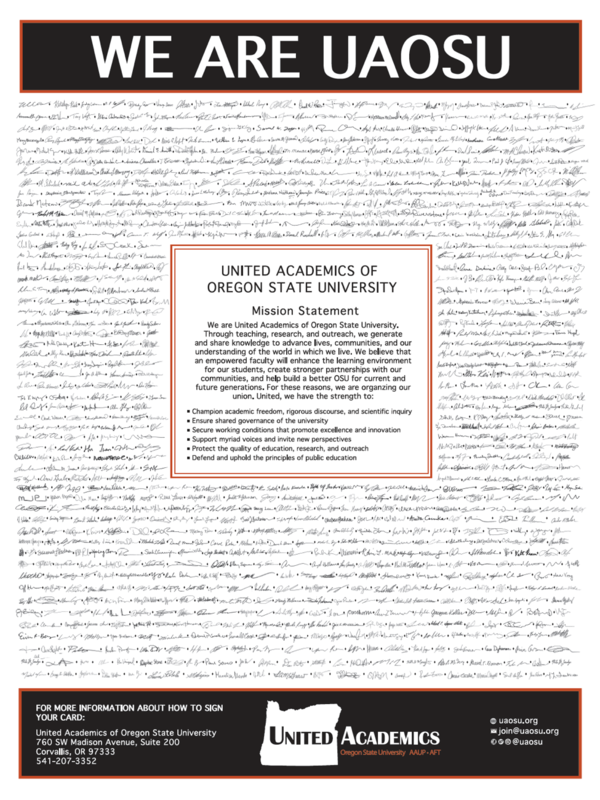 Come observe UAOSU’s morning bargaining session with university administration on April 22. The bargaining session will be 9am – 1pm in the Agriculture Science Room of LaSells Stewart Center. Plan to attend as much of the session as you can. Planned proposals covered in this session are expanded paid family leave, sick leave transfer, and more. RSVP for April bargaining session here to get up to date location details.